Her body is smashing it! but her weave did her wrong. 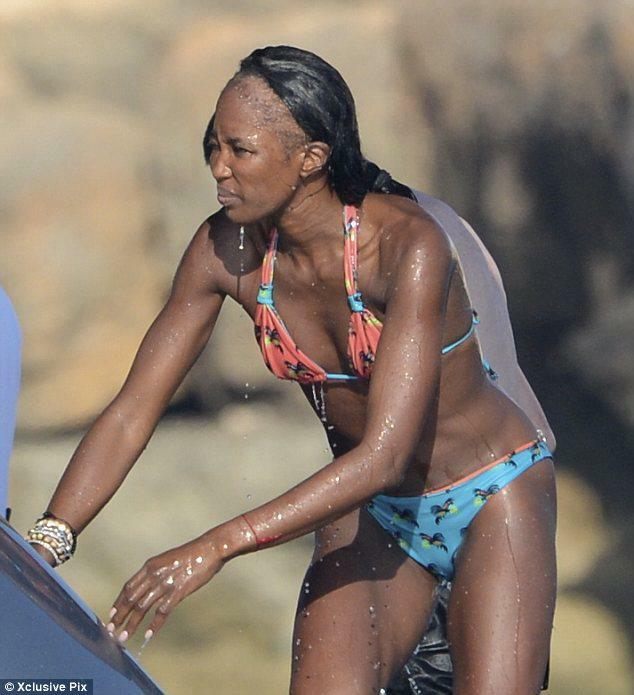 Naomi Campbell was vacationing in Ibiza earlier this week. And from I’m seeing clearly shows a receding hairline. I guess from wearing all them weaves and extentions throughtout her hey day in modelling has given this 42 year old beauty traction alopecia. Extensions, weaves, anything artificial hanging on hair no matter whether you attach it with glue, special magnets, tape will cause damage over time. Nai Nai … its time to go natural! Ditch the weave and let the flo grow!